Every morning for the last 3 months, this Delaware SUV is illegally parked in the Bike Lane at Front Street and Wave going towards the ferry. It is making cycling very dangerous during morning rush hour. This issue was recategorized from Traffic Safety to Traffic Signals. This issue was imported from a previous system where it was identified as #782571. Thank you for reporting your request to the Staten Island Borough President's Office. We will follow up on this issue until it is resolved. This issue was imported from a previous system where it was identified as ##782571. 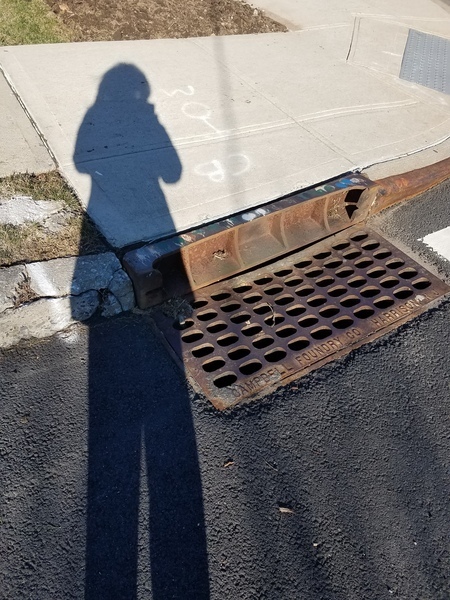 The Roadway Repair and Maintenance Division advised that their Inspector verified localized portions of the roadway that’s creating potholes. He forwarded a work order to their maintenance yard for repairs. Potholes were taken care of ! Thank you ! 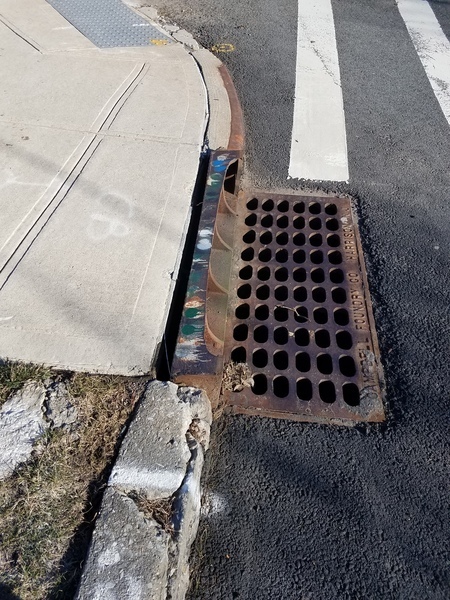 the metal cap above the storm drain at the corner of Perry Avenue and South Gannon Avenue across from 171 Perry Avenue is on its side. Please send a crew to fix it. This spot is where SIM 8 bus stop is for passengers returning from NYC. The rain water does not seep away and the pot holes in this vicinity become larger every day. The tar is splattered all over the sidewalk and the Building alongside is a NYC Water Supply Building. The sidewalk and curbside along with the surrounding peripheral road needs work. Please do have this looked into - and if budget permits - please have it updated. Thank you. This issue was recategorized from Curb Condition to Street Resurfacing.